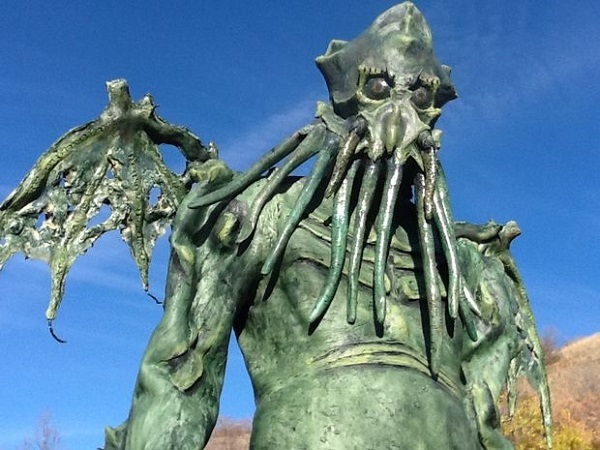 Cthulhu Rose From The Deep In a Latex Body Suit « Adafruit Industries – Makers, hackers, artists, designers and engineers! Cthulhu is one of those characters that everyone interprets just a little differently. Cosplayer alexthemoviegeek read some of H.P. Lovecraft’s stories to research the character and went in his own direction by designing a creature with a humanoid body and an octopus-like head. He planned the costume while keeping in mind how he would have to create it and keep it lightweight and comfortable. He chose latex. He had some issues with unmolding but it eventually came out okay. Following the traditional portrayals of Cthulhu, I built the head up as something of a large bulk with tentacles at the front (tentacles would be sculpted and molded separately). To ensure that I could see out of the costume, I positioned the eyes similar to my own. 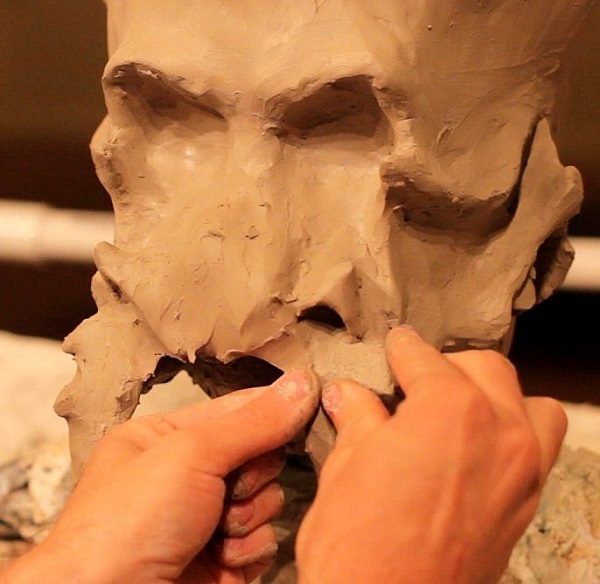 The sculpt was so large that face covered all of bottom of my own head, meaning I didn’t have to sculpt anything beneath the chin, leaving a large hole on the underside, good for air circulation and breathing. To save time, I didn’t want to go through the effort of making a dividing wall with clay. So, I experimented; I made a plaster bandage shell of the back half of the sculpt. My idea was to then fill that shell with plaster, and lay the sculpt into it, having a perfect basin to fill up the back half to a smooth dividing line. But alas, the plaster was not as smooth and easy to use for filling in the space as I had wanted, and the whole thing made a mess. So I just made the whole thing a one-piece mold while I was at it.